The Living Jazz Archives of William Paterson University showcase the art and craft of jazz performance and composition, communicating the musicianship, artistry, craftsmanship and joyous energy of the artists whose materials it contains. The Living Jazz Archives represent the ongoing mission of the University’s Jazz Studies Program as an internationally renowned center for the study and teaching of jazz performance and composition. This close association is manifest in the LJA collections featuring Thad Jones, Clark Terry, James Williams, Michael Brecker and Mulgrew Miller each of whom contributed significantly to the jazz legacy and personally to the success of the Jazz Studies Program. The music and materials of other jazz artists whose work demonstrates a similar, significant impact on the performance, composition and study of jazz may also be collected in the LJA. 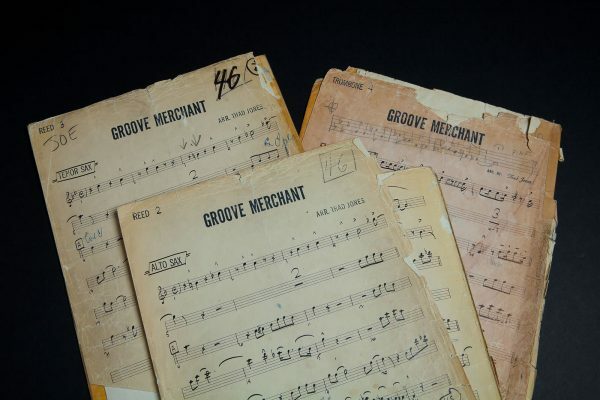 The Archives exist to create the strongest possible vital connection between the history of jazz and the students who perform and study it. They are a true blend of scholarship and performance, designed by, and in the spirit of working jazz musicians. 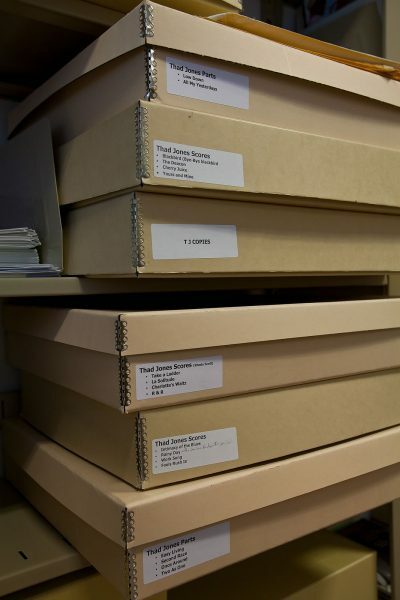 The Archive is designed as a teaching and presentation facility where small groups can explore the jazz musician’s music, life, performance ethic, and thought process. Paying tribute to the lives of these great artists whose archives are added in the future, demonstrating their deep connection to the history of jazz, their joyous energy and their important contributions to the music. Actively seeking to add new materials to these existing archives, and to acquire new archives from other historic jazz figures. 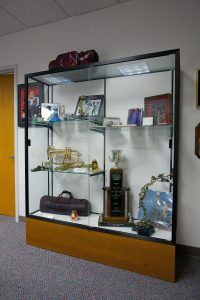 Located in 350 College Hall, the governance and supervision of the Living Jazz Archives is shared by the Department of Music and the Cheng Library. Chief representatives are Professor David Demsey, Coordinator of Jazz Studies, who serves as Curator of the Living Jazz Archives; Robert Wolk, Special Collections and Archives Librarian, and Anne Ciliberti, Director of the Cheng Library. Although the LJA is located in the University’s College Hall, the scores, books, recordings and periodicals, and artifacts that comprise its collections are fully cataloged and accessible through the Cheng Library’s online catalog or other appropriate discovery tools. Financial support for the Archives comes from various sources. The primary source for equipment and acquisitions is external donations, requiring ongoing solicitation to continue current support and create new opportunities. Modest ongoing operational funds for office supplies and incidental expenses are supported by matching allocations from the Cheng Library and the Music Department, with the goal to establish a permanently funded line budget allocation.